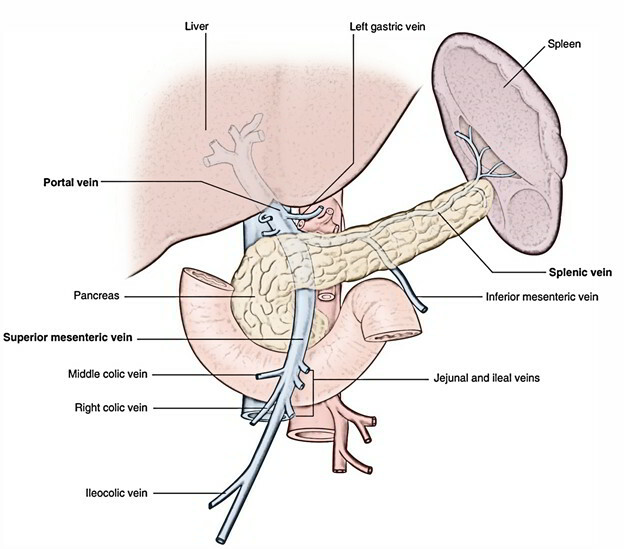 Right Colic Vein arises from the attachment of the numerous venous arcs of the right colon wall and also via the marginal vein and drains the right colon. It anastomoses easily along with the ileocolic vein as well as the middle colic vein. It links the superior mesenteric vein at the level just where it moves across over the third portion of the duodenum and is retroperitoneal.